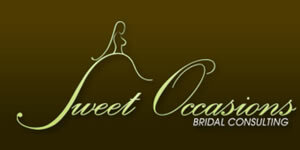 Sweet Occasions is your Canadian Rocky Bridal Consulting resource. We specialize in capturing your dreams, understanding your vision, and bringing it all to life on your fairytale wedding day. Comprised of meticulously organized individuals, we strive to accommodate and fulfill each of your desires, while seamlessly providing a service that makes planning your wedding stress free and pleasurable every step of the way. Founded by Angela Schrempf, Sweet Occasions calls the peaks and valleys of Cascade, Rundle and Tunnel Mountain our home. Serving Banff, Canmore, Lake Louise, Emerald Lake, and Kananaskis, we take pride in our intimate relationship with the natural environment and our community. Choosing to have your wedding in Canada, amidst the beautiful Canadian Rocky Mountains assures that your big day will be filled with natural beauty. But planning a wedding is stressful. You have to pick out the perfect wedding dress, hire a photographer, find places for the wedding ceremony and the reception hall, find hotels for the guests — oh wait. You don’t have to do all that. 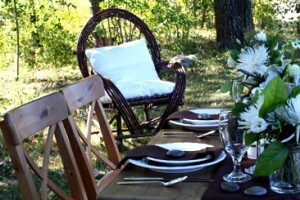 Relax and leave the details to the wedding and event-planning professionals at Naturally Chic. Naturally Chic offers full service wedding and event planning and design services for couples wanting personalized attention. Its wedding planners create original, stylish events that capture your personality and reflect your desires. They meticulously attend to the endless details so that you can rest assured that your day will flow seamlessly while you enjoy precious time with your guests. Whether you want a traditional church wedding here in Jasper or an outdoor wedding on top of a mountain peak in the Canadian Rockies — imagine a helicopter wedding! — Naturally Chic can make your wedding happen just the way you want it. 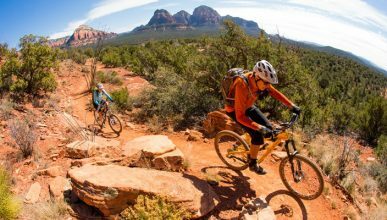 The company specializes in eco-chic, outdoor and adventure weddings: winter weddings, mountain weddings, and any adventurous ideas you may have for your special day. The possibilities are limitless! 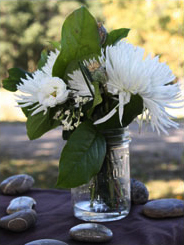 The wedding planners at Canmore, Canada-based Naturally Chic will be happy to assist you with any other aspect of your wedding plans, such as your engagement party, rehearsal dinner, bachelor and bachelorette party, or any other social event you may be considering. Click here to visit Naturally Chic.